Today, Native Instruments has released Traktor 2.7, the new Traktor version that supports the new controller Kontrol S8. The main new software feature of Traktor 2.7 is the freeze/slicer mode, a new feature that is mappable to any controller. Traktor Bible provides you with mappings for Kontrol S2MK2, Kontrol S4MK2, and Kontrol F1, that allow you to use freeze and slice from all three controllers. For the time being, Native Instruments software and hardware products are not supported under Mac OS X 10.10 Yosemite. We recommend to wait a little before upgrading to Mac OS 10.10 Yosemite, as full support for Native Instruments products (soft - and hardware) cannot be provided yet. We are currently conducting systematic tests to offer full compatibility as soon as possible. Please check regularly your Native Instruments product's specification page to keep yourself updated on the actual system requirements. There, Mac OS X 10.10 will be added to the supported operating systems as soon as we can guarantee the full compatibility of our products. Update (October 25, 2014): Native Instruments has released new information regarding the compatibility of NI products with OS X Yosemite. It seems that products with a hardware dependency (such as MASCHINE, KOMPLETE KONTROL, TRAKTOR, GUITAR RIG, and Controller Editor) do not launch if the AVID CoreAudio-Manager/drivers are installed under OS X Yosemite. NI and Avid are working together to resolve the compatibility issue. Under standard installations of the operating system current NI products work without any specific issues. The TRAKTOR KONTROL Z1, TRAKTOR KONTROL S2 MK2 and TRAKTOR KONTROL S4 MK2 are fully compatible with iOS 8. The TRAKTOR AUDIO 2 soundcard is currently experiencing audio compatibility issues with devices running iOS 8. We’re working closely with Apple to fix this. We will keep you informed about any further developments. Update (October 27, 2014): Even after updating to iOS 8.1 several users report audio problems when using Traktor Audio 2 MK2 with Traktor DJ on iOS. iOS 8 was not the smoothest iOS update Apple ever provided (four versions between September 17, 2014 and October 20, 2014: versions 8.0.1, 8.0.2 and 8.1 mainly fixed bugs, but unfortunately did not solve the issues with Traktor Audio 2 MK2). The issues people are having now remind me of the iOS 7.0 update, where the Native Instruments iOS-ready devices (like Traktor Audio 2, Traktor Kontrol S2 MK2, etc.) had issues like random disconnections, iOS device restarts, distortion, and chopped audio. iOS 7.0 was released on September 18, 2013. The problems were then solved in the iOS 7.1 update, released on March 10, 2014. I am pretty sure that the problems with iOS 8 and 8.1 will also be resolved; however, some patience may be required. The new Traktor version that supports Kontrol S8 will have the version number 2.7.0. We are working hard on the new PDF update for our Traktor Bible. The PDF update will be ready for download at the same time when NI makes the new Traktor version available (end of october). As we can see from the various photos of Kontrol S8, the new NI controller has a dedicated FREEZE button. Apparently this button will enable a freeze mode that probably will work as the freeze mode known from the iOS app Traktor DJ. Can we map freeze mode to any MIDI controller? If yes, how? Will freeze mode be automatically available on Kontrol S4 or Kontrol F1? If not, how can we change the mapping of older NI controllers in a way that they support freeze mode? Plenty of questions! 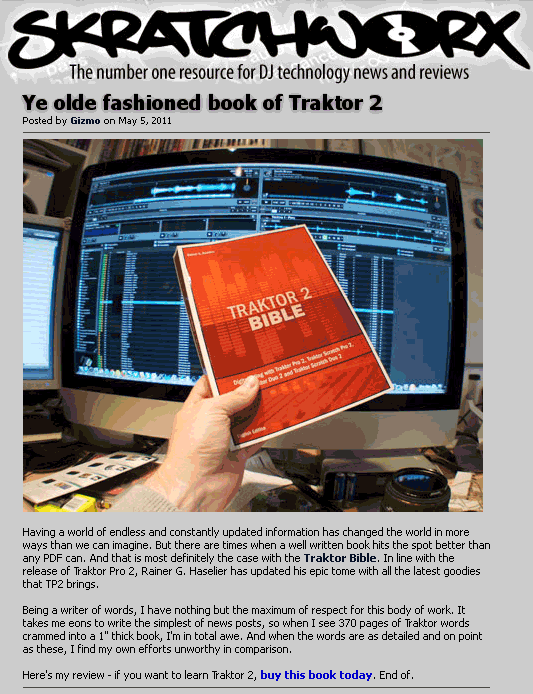 The upcoming Traktor Bible PDF update has the answers. If you have any of the former editions of Traktor Bible, you can now download your free update PDF. It contains information about the remix decks, about using and remapping the NI controllers and about more new and changed features. 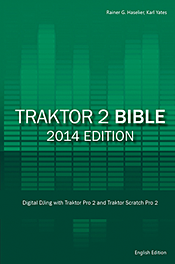 Traktor Bible 2014 Edition is avilable now. All pre-ordered books have been shipped. If the "green book" is the first Traktor Bible that you own, click here to activate your PLUS account. Once you are registerd, the PLUS section offers several tutorials covering broadcasting with Traktor, a topic that did not made it into the book. If you own one of the older editions of Traktor Bible, you can download a new update PDF in the next days. In the default configuration the mic signal from Kontrol S2 remains in the internal soundcard of the S2 and is not recorded. However, a little trick will allow you to record the mic. 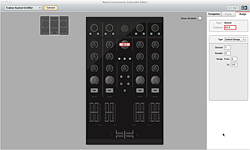 Native Instruments has released an update for Controller Editor. The new version supports Kontrol S2 MK2, Kontrol S4 MK2, Kontrol X1 MK2, and Kontrol Z1. Already the first version of Xtreme Mapping transformed the creation of Traktor mappings to pure fun. And it is not only the large, clearly arranged window that makes mapping with XM a treat, but also the many small and big features that help you to reach your goal quicker. This review shows what Xtreme Mapping 1.3 has to offer. Traktor offers two methods to shorten a loop. The standard method moves the Loop Out point. However, you can move the Loop In point too, which can be more appropriate in some circumstances. This Traktor Bible mini tutorial shows how it works. If you have an iPad and the Lemur app, you do not need an F1 controller to control the remix decks. No with more detailed setup instructions. Traktor 2.5 – Mapping the Remix Decks? The simple reason for the length is that I want to provide a fact-based and well-balanced personal view to the remix deck mappability question. Make some time, pull up a comfy chair and take a read. Here we go. I cannot see any technical reason why it was not possible to have provided the most basic mapping controls for the remix decks in Traktor 2.5.0. The Traktor Bible bugradar is updated with some findings in Traktor 2.5.0. 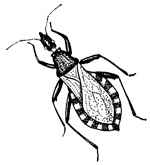 Did you see other bugs that can be reproduced? Then click here and send me a message. Many many of the mapping commands have either been renamed and/or moved to another submenu of the Add In and Add Out buttons of controller manager. All changes are documented in this little article. Download a PDF showing the old names/menus and the new ones. The good old Mapping Command Finder of Traktor Bible has been updated: Find the mapping command you need to create your own TSI in Traktor versions 2.0.3 - 2.5.0. This little tutorial will show you how to configure your Traktor Scratch setup in a way that you can use both media without switching between THRU mode and deck mode during your gigs. 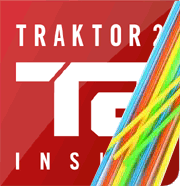 If you own Traktor Pro 2 and want to upgrade to Traktor Scratch Pro 2, you do not need to re-install Traktor. This little tutorial shows to proceed. This beginner's tutorial explains how to configure Traktor if you wish to record your sets with the internal Mix Recorder when using an external mixer. One of the most often asked questions we received after our reviews of the Allen&Heath Xone:K2 was about the quality of the integrated audio interface. We did a quick sound check. Download a short recording and check the quality yourself. This advanced tutorial shows how to synchronize the colours of the Lemur hotcue pads with the colours that Traktor uses for the different hotcue types. 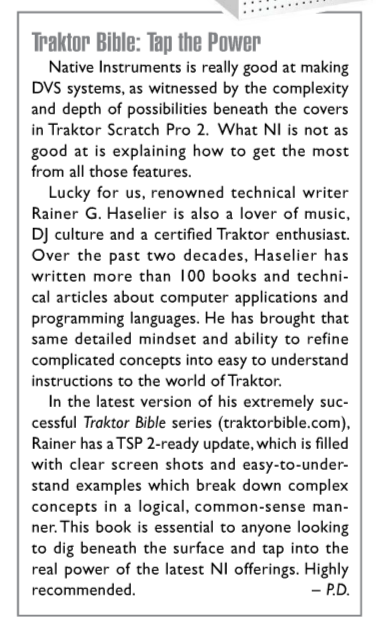 DJ Times reviewed Traktor Pro and Traktor 2 Bible in the February 2012 edition of the magazine. It says: "The book is essential to anyone looking to dig beneath the surface and tap into the real power of the latest NI offerings." Daniel Haver, CEO of Native Instruments, announced the upcoming Traktor version 2.5 and the new NI controller Kontrol F1 on January 21, 2012 in Los Angeles with an availability in April 2012. The main new feature is the remix decks that will replace the sample decks that we are familiar with in the current version of Traktor Pro 2. All details about the new 2.5 version and about the new controller will be available as a free PDF update to all owners of a Traktor Bible, as soon as Traktor 2.5 and the Kontrol F1 controller are available. Release of Traktor 2.5 is planned for May 30, 2012. Phil Morse from Digital DJ Tips reviewed the Traktor 2 Bible. Read his review article and watch his review video directly on Digital DJ Tips website. During the ADE conference a panel of nerds and DJs discussed the implications of the Sync button found in almost all DJ software. Watch the complete discussion in a video we recorded for you. One of the innovative features of the Xone:K2 controller are its latching layers. What exactly does it mean? How allows the latching layers system you to easily create mappings with just one layer, or if you wish with different, multiple layers? This tutorial shows how to configure the Traktor Loop Recorder in external mixing mode with Audio 8 DJ and Traktor Audio 10. The new Allen&Heath DJ controller, the Xone:K2, was introduced at BPM show in Birmingham. The K2 should be in stores in January 2012. If you want to know why we think that there will be hard times ahead for the Kontrol X1, read our extensive review. The mapping command finder is updated and contains the command names for Traktor 2.0.3 and 2.1.1. 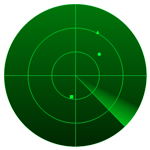 The finder helps you with finding the mapping command you need. Simply move the mouse over a button, knob or slider to see the corresponding mapping commands. 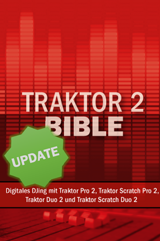 The Traktor 2 Bible update PDF for Traktor 2.1.1 is available for download. Please logon with your Traktor Bible PLUS account to see the download links. On this page you find a compilation of some major bugs other Traktor users have experienced in version 2.1.1. The information provided in the list was collected from different digital DJ forums. This video shows how to create a user mapping that neutralizes the default mapping and that allows to add new functionality to the controller. This tutorial shows how to use multiple audio interfaces for Traktor on Mac OS X. This tutorial shows how to use the Single Turntable Mode of Traktor. 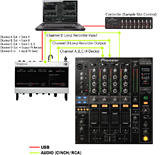 In Single Turntable Mode two Traktor decks share one timecode signal. This is useful if you have only one turntable/CD player or if one player dies during a gig. This beginner's guide shows in easy steps how to setup Traktor Kontrol S4 for use with timecode. An S4 Add-on mapping allows you how switch between absolute and relative timecode mode from your Kontrol S4. This article shows how to squeeze more than one modifier value into one modifier slot. The mapping technique explained will help you, when you run out of available modifiers. Furthermore, there can be situations where you need to make a command dependent of more than two modifiers. For example, you may wish to use two of the standard modifier values (M1 to M8) and additionally one of the extended modifiers (like Is in Loop). Beeing able to create completely customized mappings is one of the coolest features of Traktor. However, the user interface of the Controller Manager that you need to use to cerate your mappings, is sub-optimal. Things get a lot better now with the Mac OS X app Xtreme Mapping. It eliminates the shortcomings of the Controller Manager and makes mapping creation a lot easier. This workshop series explains how to integrate Traktor and Maschine running on the same Mac OS X or Windows 7 system. To route the audio the free tool Jack is used. The audio from the Traktor decks is sent to Maschine, where you can apply all Maschine effects and external plugins. Did you ever wonder why the jogwheels on Traktor Kontrol S4 feel so good as they do? Native Instruments has released a new firmware (version 37) for the audio interfaces Traktor Audio 6, Traktor Audio 10, and Komplete Audio 6. Updating the firmware is very easy with the new tool Device Updater. Thanks to all who upload their own samples to the new Samples Section and who automatically took part in the prize drawing. Many thanks to all who took part in the Traktor Bible reader survery. The current results are online now. Traktor 2.0.3 contains a new option for 'native Sample Deck Control via Kontrol X1'. What does this mean? This tutorials series explains how to broadcast your mix live with Traktor Pro 2. Samples Lib is a new service on the Traktor Bible website where you can upload and share your own (i.e. 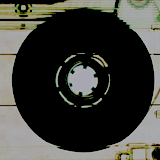 self produced) samples (loops, one shots, field recordings). An attribute browser and saved filters make it easy to find the samples you need. All who upload ten or more samples or sample packages up to June 15, 2011 June 30, 2011, take part in the drawing of several prizes. One of the praised options of the Pioneer DDJ-T1 controller (released in March 2011) is the so called „channel fader start“ feature: if you open the channel fader of one deck, the corresponding tracks automatically starts to play. The fader start feature can be implemented for any MIDI controller available. As you will see in this tutorial you can map fader start either to the cross fader of your controller or to the individual channel/volume faders. You will see also why this does not work when using Traktor Kontrol S4 in its native NHL mode. Thanks to all who uploaded their Traktor 2 mapping during April 2011 and who automatically took part in the drawing of Traktor 2 Bible, Leather Edition. The winner has been drawn begin of May 2011. 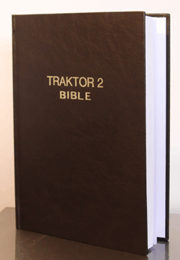 Traktor 2 Bible, Leather Edition, is on its way to Dan Dunkle in Oakland (CA). Traktor DJ Joost from the Netherlands created some templates that will help you to document your Traktor controller mappings. All templates are PDF forms where you can easily add the command/action that you mapped to a control. In the two years since the first edition of Traktor Bible was published, Traktor Bible has become the de-facto standard reference for digital DJs using Native Instruments Traktor. 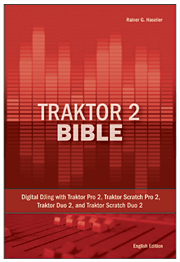 The new edition, Traktor 2 Bible, is available now and can be ordered in the Traktor Bible Shop and at various resellers. Traktor 2 offers two different synchronisation modes: BeatSync and TempoSync. You can select the mode on the Preferences/Transport dialog in section Sync Mode. This tutorial explains how the mode selected affects the synchronisation possibilities. The loop recorder section of the S4 controller mimics the loop recorder of the Traktor user interface one by one. 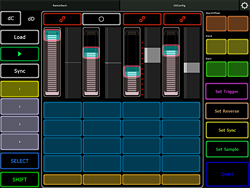 The mapping commands Traktor provides make it quite easy to build a mapping for the loop recorder and use it either in a user mapping for the S4 or with any other controller. Is it possible to recreate the same behaviour in an S4 user mapping or in a mapping for another controller? Unfortunately not. This tutorial shows the details. Are you looking for samples which you can use in your sample slots? 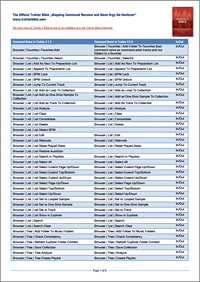 An overview page in the Portals section contains several links to download portals for samples.